The easy and affordable way to learn music! With the Kirstein FunKeyboard learning is guaranteed to be faster! 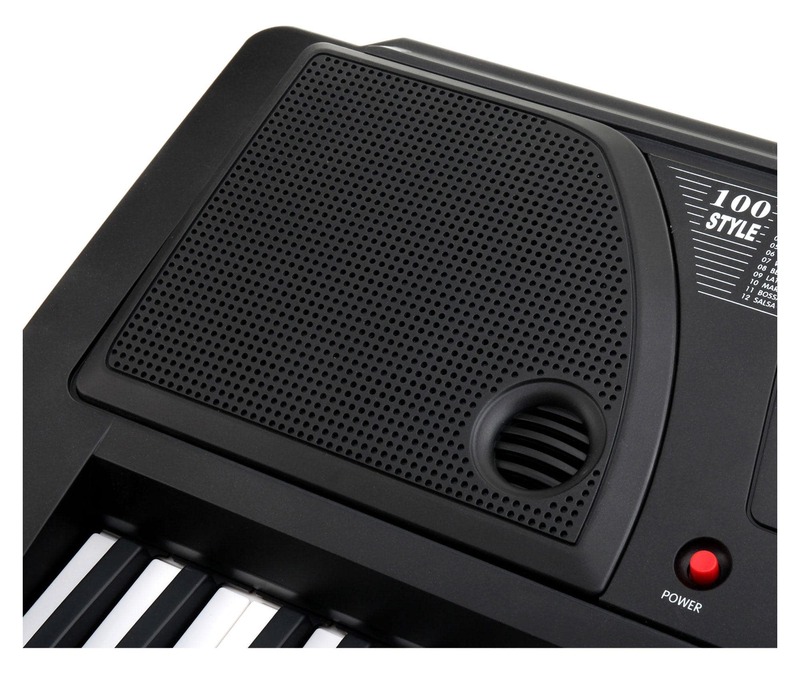 The hundreds of different sounds and as many rhythms make the keyboard lots of fun to play! Your child's creativity is encouraged while at the same time they are laying down their musical foundations. 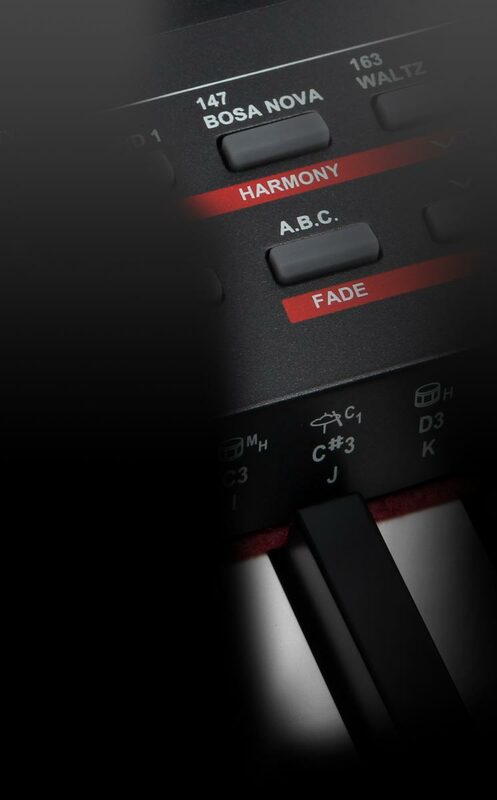 With the Intelligent Guide function, the 8 built-in demonstration songs can be learned note by note. The Kirstein FunKeyboard also has a record function with which your child can absorb entire songs with accompaniment, and later play again. Also with the Transpose button there are songs in difficult key signatures that become very easy to play. The handy RCA output on the backside of the FunKey 61 can be connected to any home stereo system and, should it be too loud, there is also a headphone output available.. Unlike other keyboards in this price range all the sounds are in stereo and the keyboard comes supplied already with a power supply, music stand and German manual! 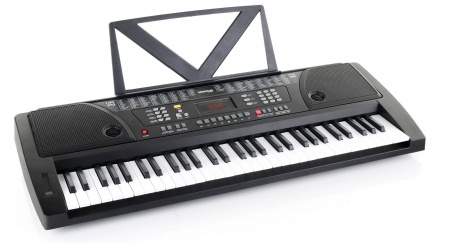 With 61 keys the Kirstein FunKeyboard comes at a bargain price - and you can hardly learn to play the keyboard cheaper! Bin insgesamt sehr zufrieden mit dem Gerät und der überaus schnellen Lieferung und das kurz vor Weihnachten. Bei der Lautstärkeregelung wäre mir persönlich ein Schieberegler angenehmer gewesen. Man kann das Volumen zwar reduzieren aber es schaltet sich nach dem Spiel immer wieder automatisch auf laut um. Wir haben uns dafür entschieden für unseren 8 jährigen Sohn der anfängt Klavier zu spielen,wir sind sehr zufrieden und für den Anfang ist es echt prima der knirps freut sich sehr. Ich habe dieses Keyboard für meine Tochter gekauft zum Geburtstag und sie ist sehr zufrieden,mein Kumpel ist macht selber Musik und sagte das es Top ist also echt klasse bestelle gerne wieder wenn.